Liferay have given many tag libraries to make development easy and rapid. 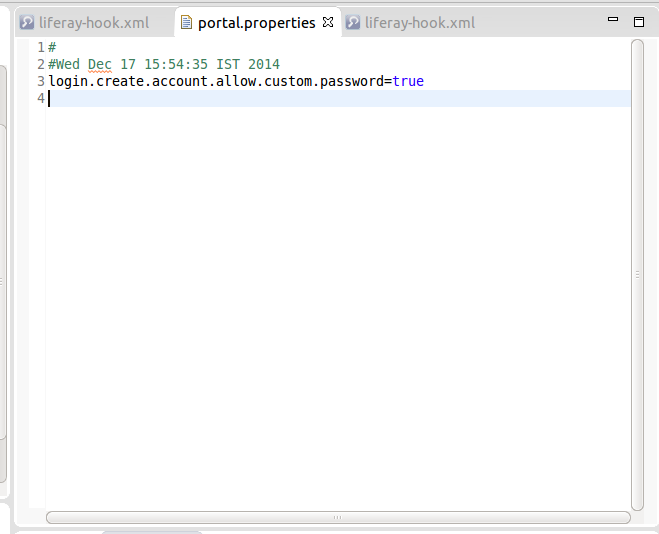 Liferay have developed their own tag libraries which we can use extensively in liferay development. Tag library is set of JSP tags and each tag have its own syntax and required attributes. JSP tag is way to avoid the writing repeated code snippets in the JSP pages. Each tag have its own piece of presentation markup(html/java script/css/java code) code which can be encapsulates as a separate part and it will be identify by the specific notation called Tag. When we use the tag in the JSP page it will be replaced by respective code snippet/presentation markup at the time of page rendering. The Java Server Pages Standard Tag Library (JSTL) is a collection of useful JSP tags which encapsulates core functionality common to many JSP applications. Each tag library have its own Tag Library Description(TLD) file and its a xml file consist of tag information like tag name, tag attributes, what attributes are required and what are optional. Tag Library URI is unique URL to identify the tag library,this will be used in JSP page to import tag libraries and we will use Tag Library URI in application deployment descriptor(web.xml) to integrate tag library with application. Tag Library URI is represented in TLD file. Tag Library Implementation JAR file is a jsp tags implementation java classes make it as JAR file and we need to add this jar file in application class path that is application lib directory or other server lib directory. We already know JSP tag libraries are used only in JSP pages. If we want use JSP tag Libraries in Web application JSP pages then we have to follow set of following steps. 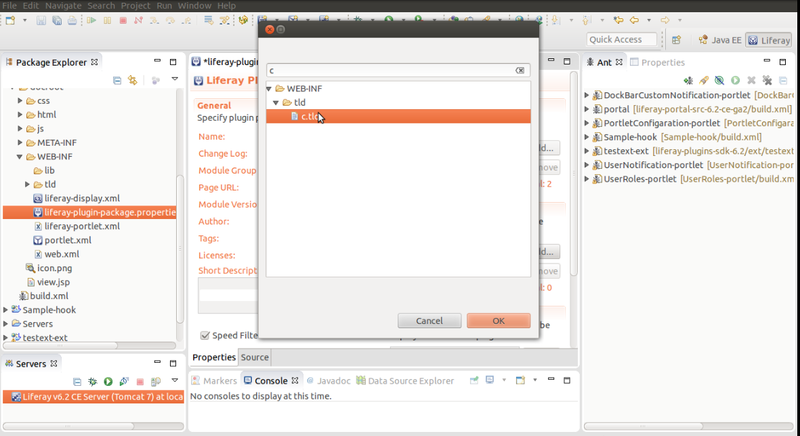 First we need to register tag libraries in application web.xml file so that application can use tag in the JSP pages. 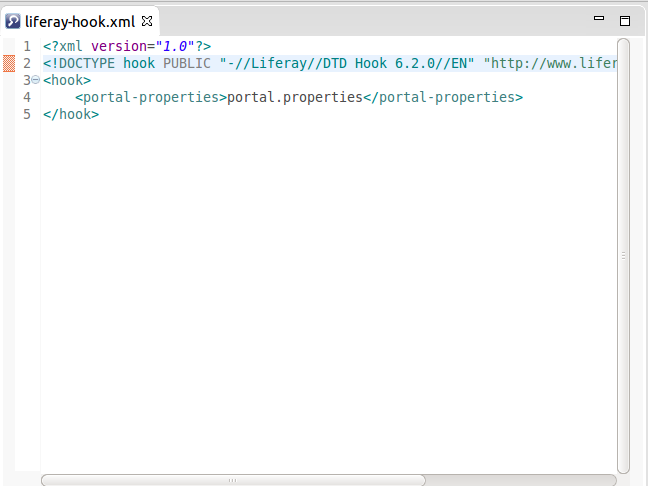 When we register Tag libraries in web.xml we need to know tag library URI and Location of TLD file. 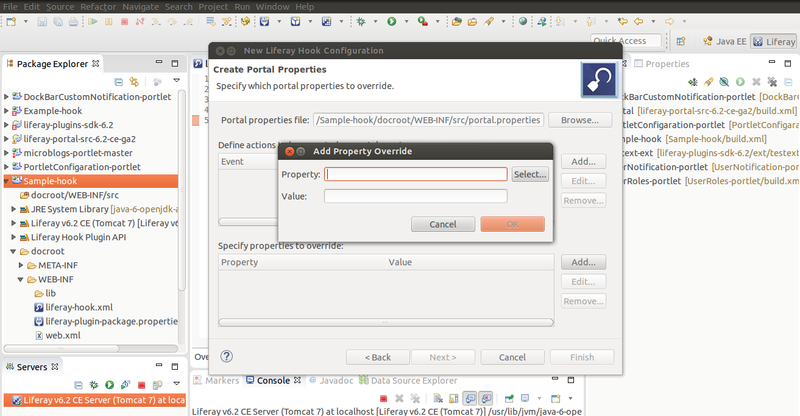 Configuration should be enclosed by <jsp-config/> tag. In the above configuration we have registered two tag libraries. We need to add Tag Library TLD file in the application WEB-INF directory. We can directly place in WEB-INF or we can create separate directory and we can place there. Make sure the path of TLD file that we have given in web.xml file to register tag library. Every tag library have its implementation java JAR file and this should be available in application class path that is WEB-INF/lib directory. 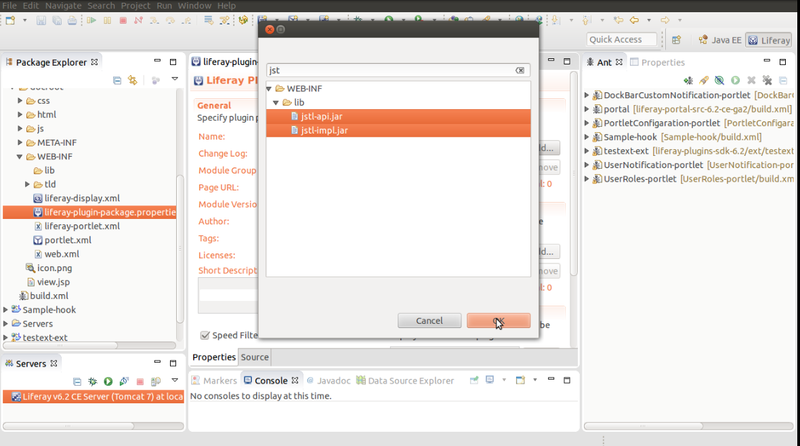 Its final step where we need to refer tag library in JSP page so that we can use respective tags in the JSP pages. We need to give the tag library URI path that is available in TLD file and we will use prefix name to identify the tag library in the JSP page. We will use prefix name to each tag notation and each tag may have attributes and we need to pass it in the tag. Apart from JSTL tag libraries Liferay also implemented their own tag libraries which we will use in liferay plugins development. Liferay have many tag libraries for different contextual use and each tag libraries have collection of tags we can use in JSP pages to make it good presentation and rapid UI development. Each tag library have many tags and its based on usage its made it as different libraries. 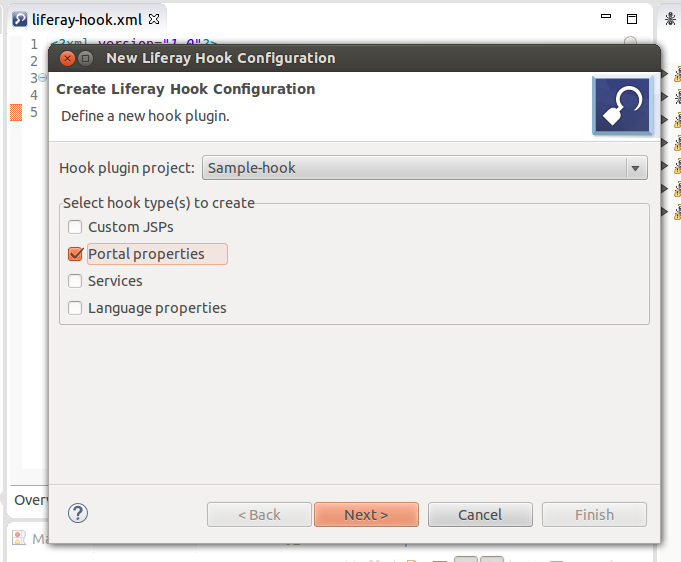 When we work with Plugin portlet development we extensively use the liferay tag libraries and its tags in the JSP pages. Here interesting thing is Liferay Tag Libraries registering with portlet will be take care by the liferay auto deployment process so we need not to do manually registering the tag libraries. 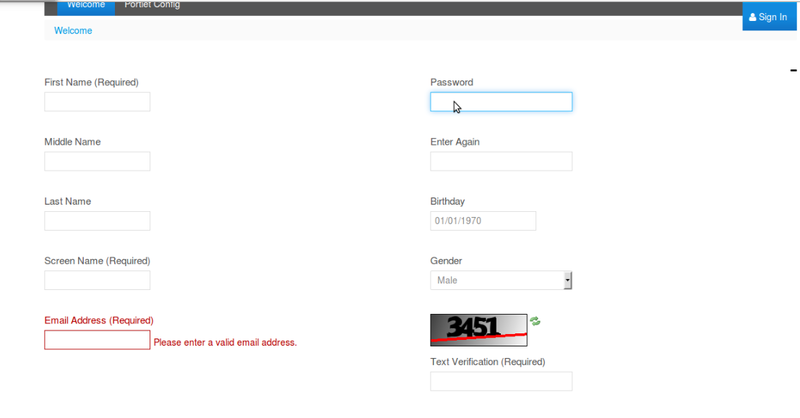 Only we need to refer tag library URI information in the JSP page so that we can use tags in the JSP page. Each Library have many tags and that will be used in our portlet development. When we create portlet from Liferay IDE there is no information in portlet web.xml file related to liferay tag libraries and no JAR file in portetl Lib directory and No TLD file in Portlet WEB-INF directory. Now Open Portlet WEB-INF directory then you can see tld directory once you look into tld directory then you can see all liferay tag libraries tld files. 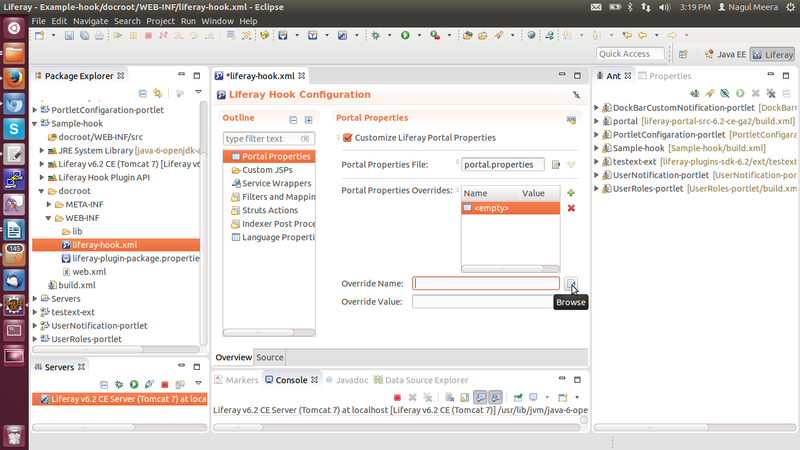 From above all observations we can understand that in the liferay portlet development we no need to do any manual configuration to register the liferay tag libraries and Liferay auto deployment process will take all necessary configuration to make use of liferay tag libraries in portlet development that is in jsp pages. 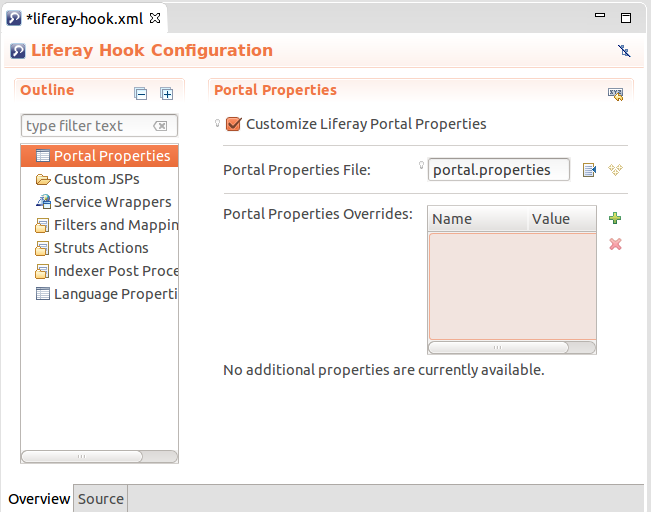 Liferay Auto deployment process only resisted the Liferay tag libraries in the portlet not JSTL tag libraries. As we know liferay auto deployment is only configure the liferay tag libraries but we also have many useful tag libraries that is JSTL tag libraries. When we want use JSTL tag libraries such as Core Tags ,Formatting tags ,SQL tags ,XML tags ,JSTL Functions then we are the responsible to register the JSTL tag libraries in the portlet development. 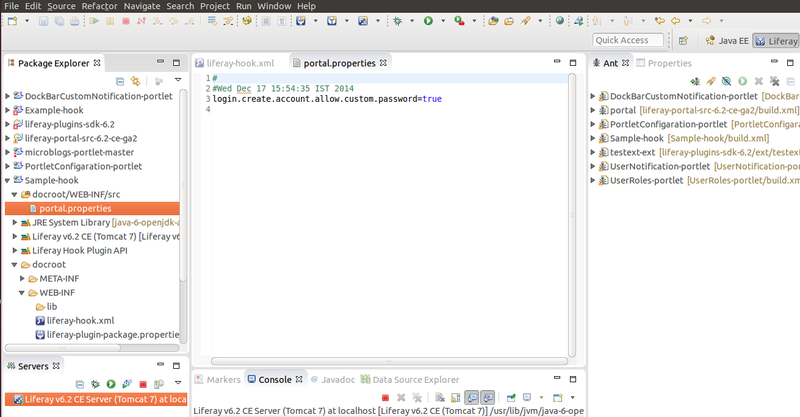 Liferay IDE provide very easy way to configure the JSTL tag libraries in Plugin Portlet development. 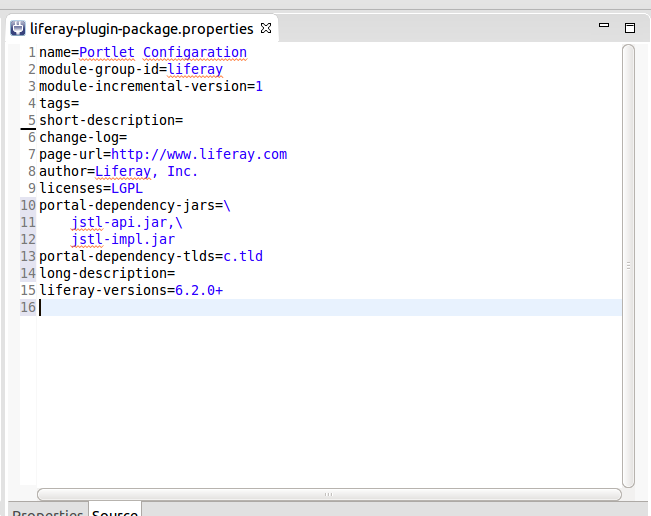 Double Click on “liferay-plugin-package.properties” file its in portlet WEB-INF directory. 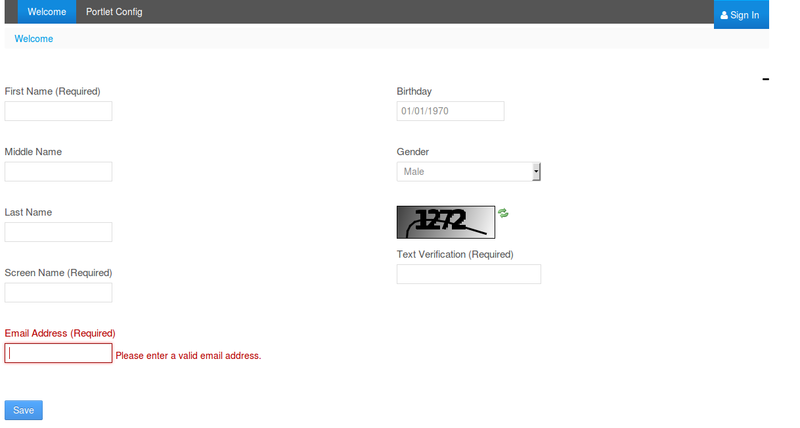 You can see two inputs fields “Portal Dependency Jars” and “Portal Dependency Tlds” and we can also have Add buttons. As we know when we work with tag libraries we need tag library implementation JAR file and Tag library TLD file. “jstl-api.jar, jstl-impl.jar” are the JAR files that was implemented the JSTL tag library and its have different TLD files like c.tld for JSTL core tags. Now “Portal Dependency Jar” section click on Add button then it will open dialog there you can find available JAR files list and search for “jstl-api.jar,jstl-impl.jar” files and select both files and then click on OK .
Now “Portal Dependency Tlds” section click on Add button then it will open dialog there you can have available JAR files list and search for “c.tld” file and select it then click on OK .
We have added JAR files and TLD file finally you can save the file(Ctrl+S). 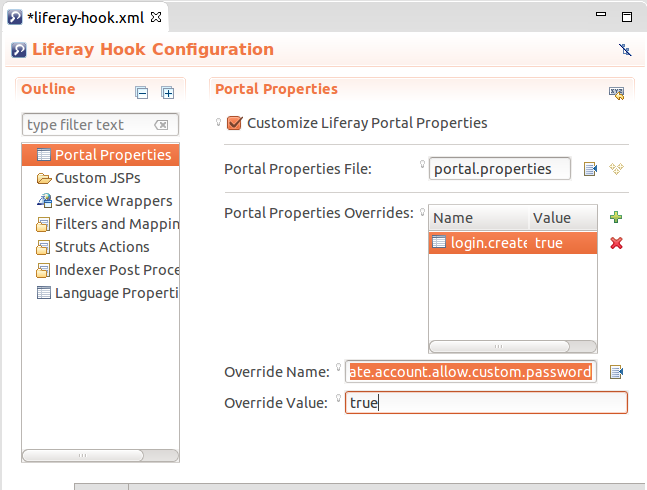 Liferay Plugin Portlet development when we need portal dependency jar files or other files like tld we will use “liferay-plugin-package.properties” file and the following is configuration. 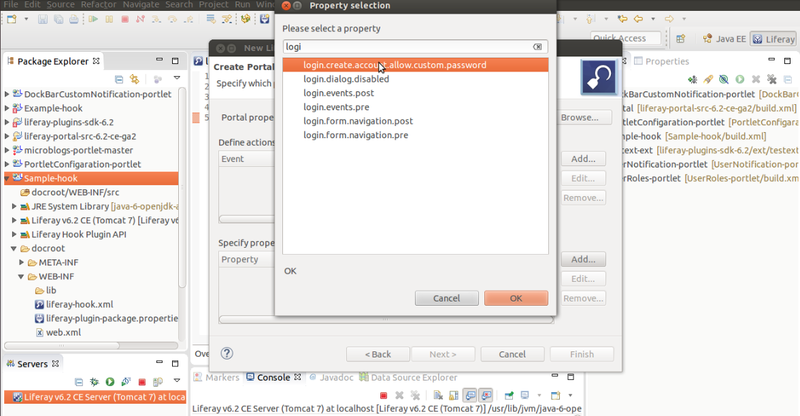 When we configure portal dependency jar files or tld files in “liferay-plugin-package.properties” file then liferay auto deployment process will copy specified JAR files and TLD files from Liferay Portal and Place into the Plugin Portlet appropriate locations like jar files will be placed in the portlet “WEB-INF/lib” directory and TLD files will be placed in the portlet “WEB-INF/tld” directory. 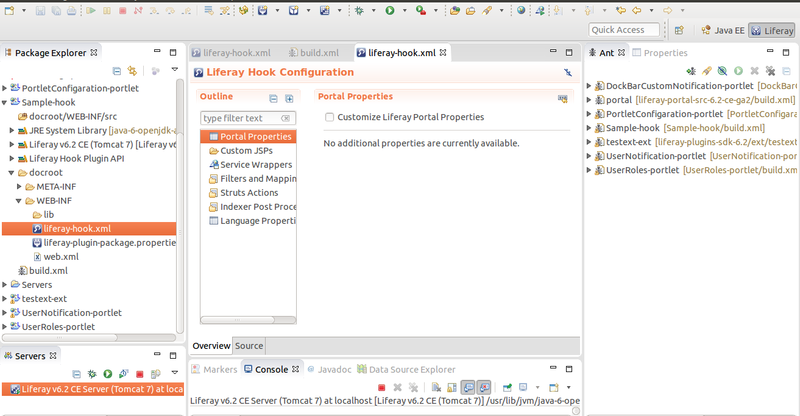 We have configured the JSTL tag libraries in our portlet, now we can use JSTL core tags in JSP pages . 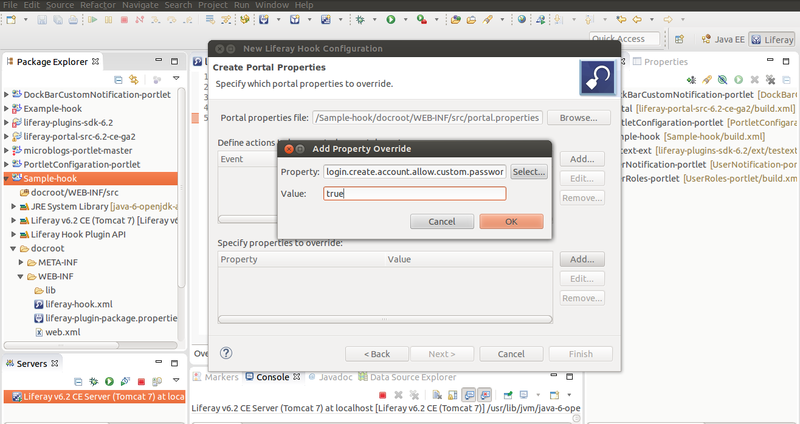 How Liferay Auto Deployment Process Configure JSTL Tag Libraries. 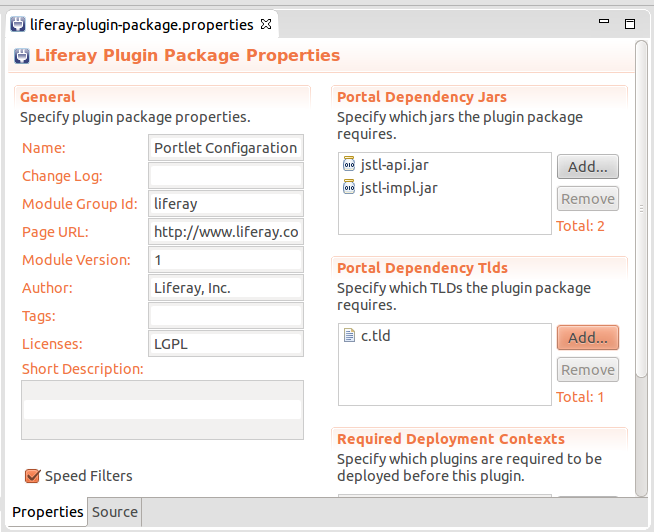 Once we add dependency jar files and dependency tld files in “liferay-plugin-package.properties” file then following things takes places after successful deployment of portler and these we can observed in deployed portlet in server deployment directory . 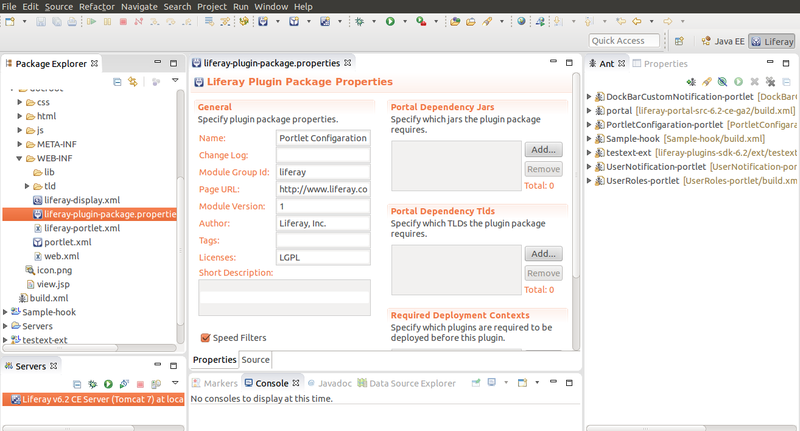 From above all observations we can understand that liferay portlet development when want add JSTL tag libraries we just need to specify the dependency jar files and dependency tld files in the “liferay-plugin-package.properties” file then Liferay auto deployment process will take all necessary configuration to make use of JSTL tag libraries in portlet development that is in jsp pages. 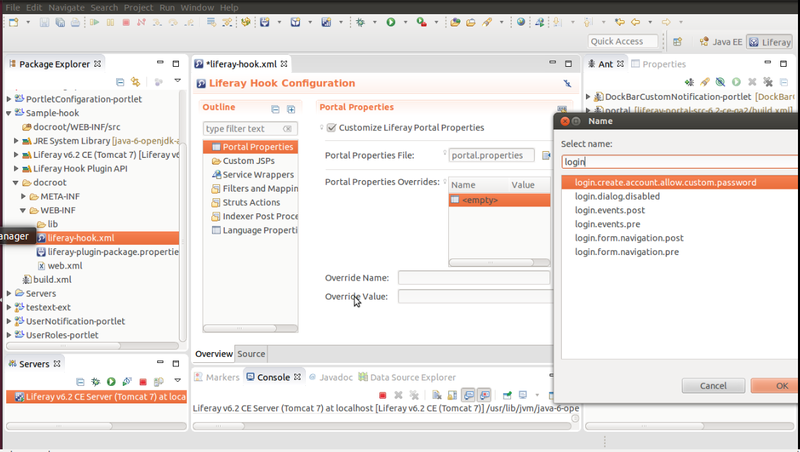 Manual Configuration to Use JSTL Tag Library in Plugin Portlet.